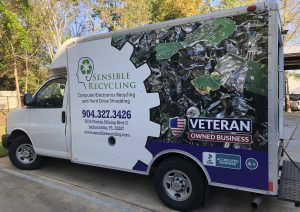 Sensible Recycling is able to offer electronics recycling and computer recycling services for free because we are able to find the value in material other companies can’t. Offering our services for free means we have to run an efficient organization with low overhead and costs. Our free model of services makes our recycling methods more responsible because we are constantly having to find new ways to find value in the material we receive. We can also provide free services because we are not having to charge customers for gimmicky corporate status or non-regulated “voluntary” certifications that have no teeth when a company decides to not play by the rules. We aren’t a top-heavy company that needs to charge for our recycling or data destruction services in order to stay in business. Our promise to our customers is to provide responsible electronics equipment disposal and recycling and computer disposal and recycling. We try hard to provide our customers with the best service possible. Read our Google reviews, we are doing something right! We also adhere to a no landfill policy and find value in material other companies charge for. Schedule a business or residential pickup. End of life or retired electronics don’t belong in the trash. By following a zero landfill policy, we properly recycle computers and electronics. Are you worried about data security? Worry no more! We will shred your hard drives on or off-site, provide a certificate of destruction, and we can even video the process. We make data security easy! We don’t need to charge your for pickups, or destruction like other companies. We make our money on the back end by properly recycling old electronics for the metal content, and we don’t need to pass our costs forward to our customers. Sensible Recycling does not refurbish computers. We offer computer recycling and electronics recycling services. This means that our revenue is generated from dismantling electronics and all electronics generate revenue for us. We believe refurbishing computers is a good thing as it gives people access to something they may not afford new, but this is not how our company works. 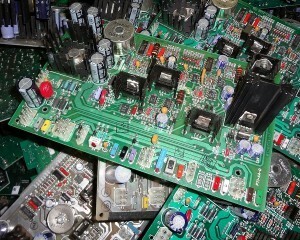 By recycling everything electronic, we can focus on doing the right thing with all the material we receive. Some companies only want material they can re-purpose, while improperly disposing of the material they don’t want. Would you rather have your hard drive wiped and resold to someone else, or completely destroyed so all of your sensitive data stays safe? At Sensible Recycling, we follow a no landfill policy. In order to properly dispose of electronics for recycling, everything is dismantled. In the case of computers, we break them down to the core components removing the ram, hard drives, processors, etc. All hard drives are shredded to ensure data security. Once the material is dismantled or destroyed, it is then sorted properly. Other electronic items are dismantled down to the circuit board level. Our material downstream consists of companies that follow the Electronic Recycling Coordination Clearinghouse (ERCC) standards and are R2 or E-Stewards certified, or are final processors. Rest assured that your material is being handled responsibly. Sensible Recycling services are always free. We will come to you and pick up your material and bring it back to our location for dismantling. It doesn’t matter how big or small your company is, our service is always FREE. We make our profit from responsibly recycling the material we receive. Do you have a large company refresh coming up? Maybe a big office clean up? What about a recycling event? Whatever the case, our box service may be the solution for you. 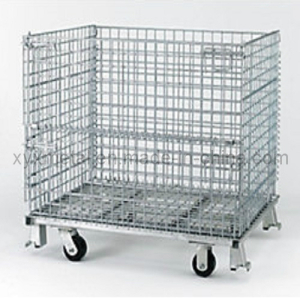 Place one of our heavy duty roll-able boxes at your site and fill it up! When it’s full, we will pick it up or swap it out for a new one. We strive to make recycling easier than ever, and like all of our other services; it’s 100% FREE!